As a kid I looked forward to summers not because of the school break but because it was the season for my all time favorite fruit – Mangoes. Sweltering heat and power cuts did not bother me as long as there were enough mangoes, at home. I ate mango in every meal: starting with mango shake for breakfast, sliced mangoes after lunch, and mango ice-cream for dessert after dinner. I miss those days when I never had to worry about the calories!! My love for mangoes has only grown over the years because it is difficult to find good mangoes in the US. I miss India so much for the Oh! so delicious mangoes. Every summer my husband orders Alphonso mangoes from India delivered as my birthday present – I absolutely love this SWEET gift. 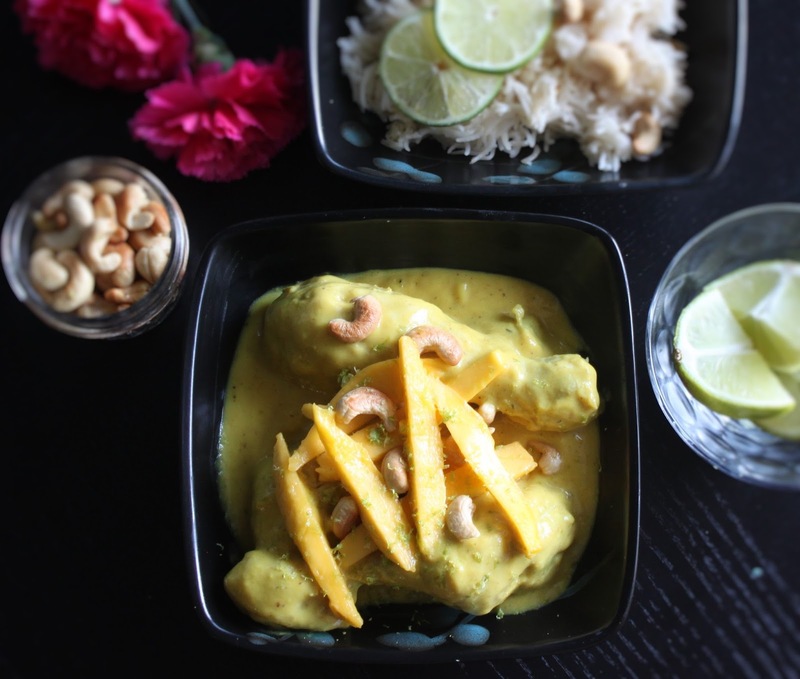 Moreover on one of my birthday a few years ago, he surprised me with a very special dish: Mango Chicken a.k.a Aam Murghi Bombay. It is simply incredible. Exotic, silky and creamy. Mildly spiced, with a hint of sweet. I have reproduced the recipe below with my minor touch ups. 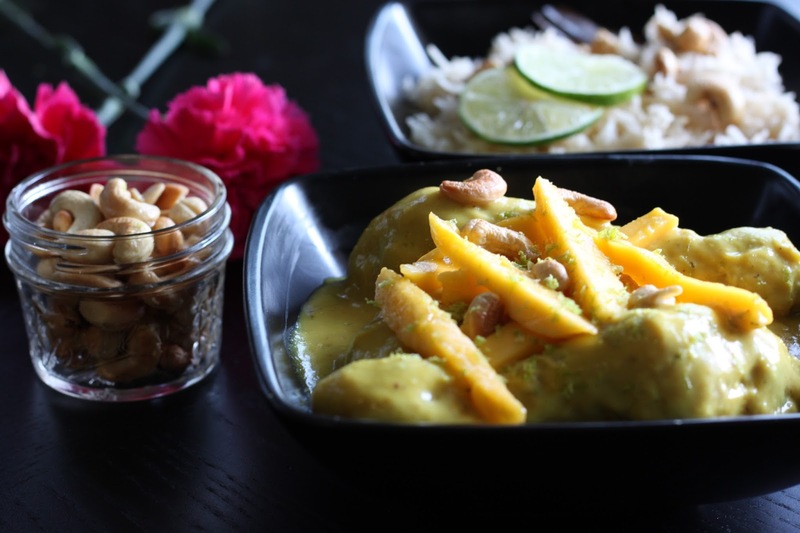 Prepare this mango chicken with lust for mangoes, and it will turn out heavenly good! !